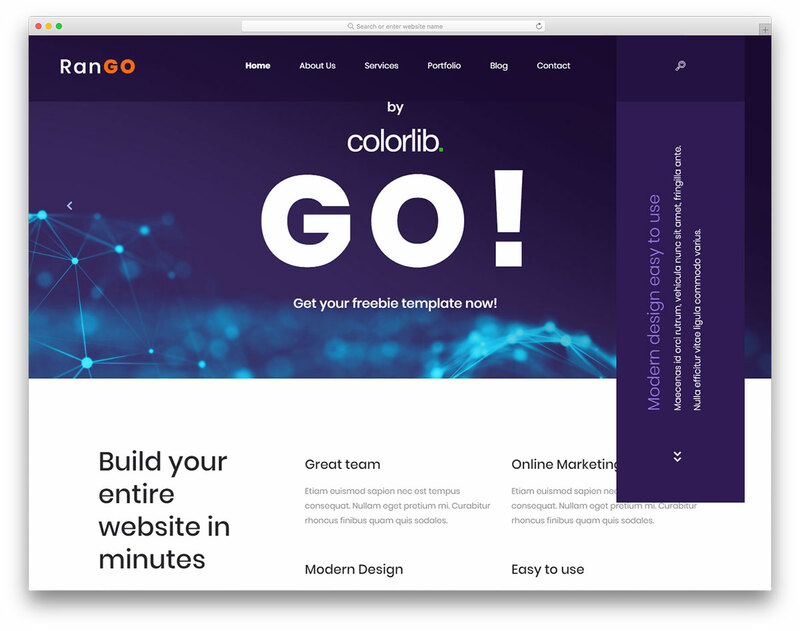 You will need no other resource for the best free startup website templates other than the one you are looking at right now. 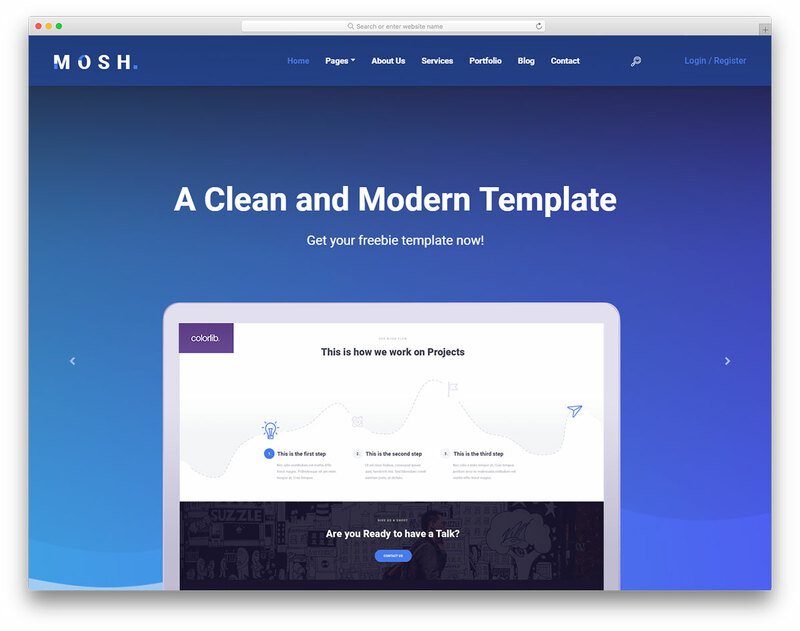 This is the most complete collection of website templates for fresh businesses regardless the industry you are in. Make it pop with a professional page that covers every sector of your thriving project. 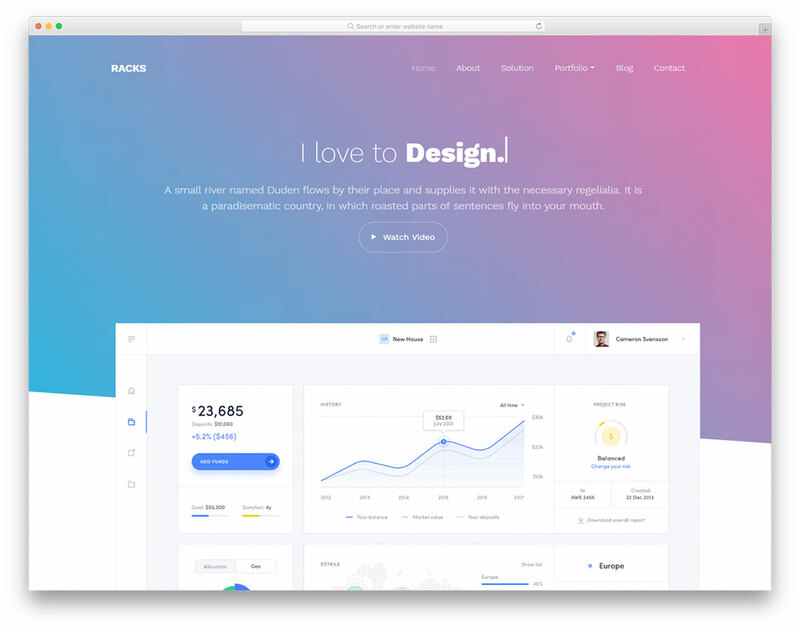 These are all Bootstrap templates with amazing assets and excellent characteristics. Every tool you go with is responsive, retina ready, simple to use and compatible with web browsers. That said, the performance of your websites will be a cutting-edge one on all devices and platforms. Establish the perfect site for your startup and grab the attention of a horde of new users upon your page’s launch. Create something remarkable, go against the norm and stand out from the crowd. 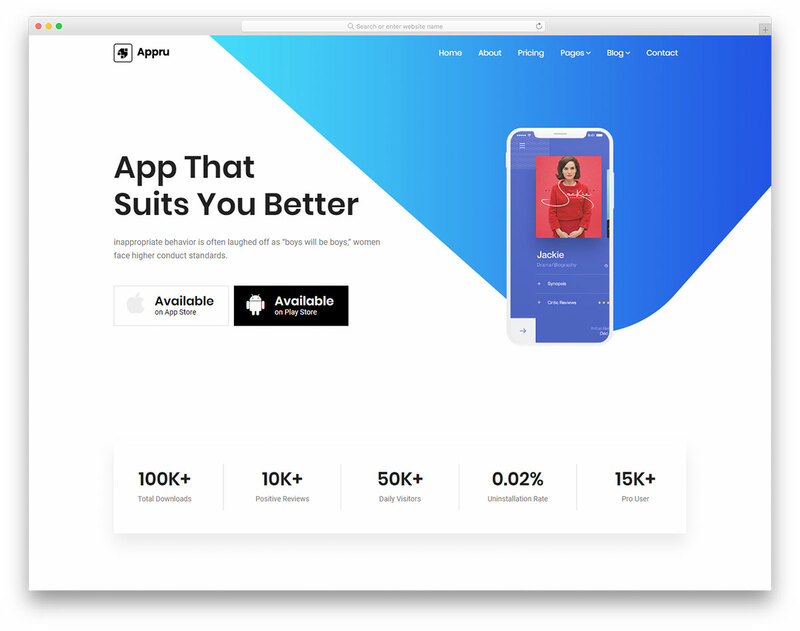 Appru is a neat, modern and highly optimized free HTML app landing page website template for mobile applications exclusive. It increases your potential and boosts it through the roof. Racks is an impressive and curiosity sparking free software company website template. Smooth and stable experience guaranteed for users of all levels. If you run a business that helps others design stuff, Mosh free responsive creative agency website template is to consider. Professional, modern and advanced, that's how your websites become once Mosh takes over. 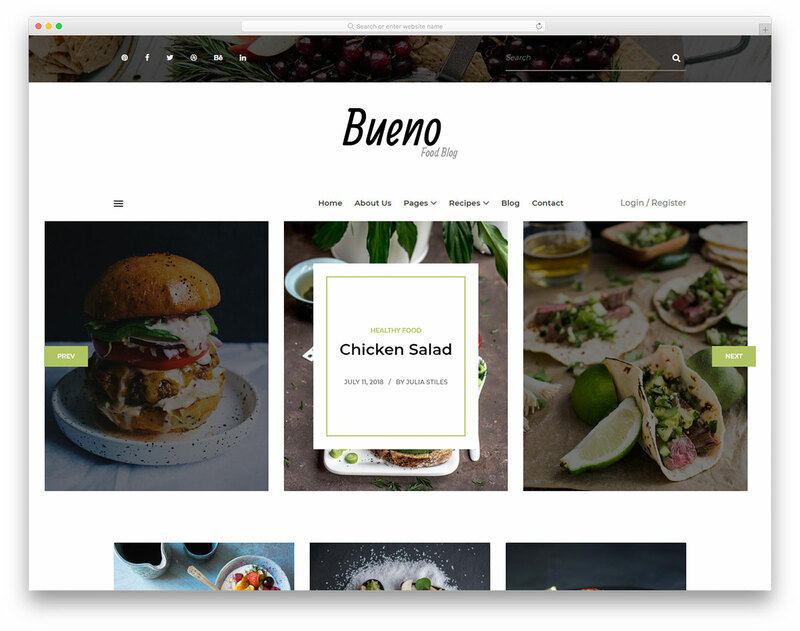 Rango is a fantastic free small business website template to hammer out a website as fast as possible. You do not even need to open the wallet, download the template and start transforming it into a functional website right away. 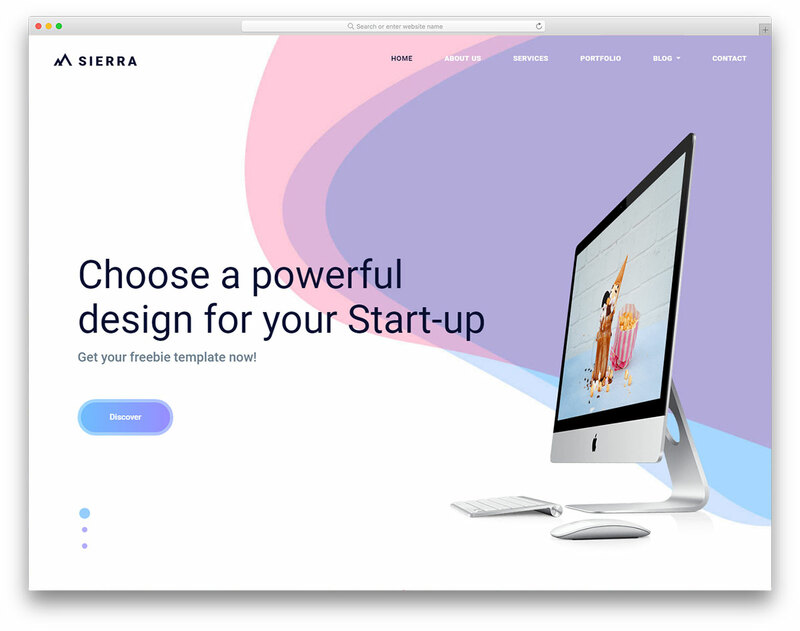 Sierra is a free Bootstrap startup website template that gives your project a boost. It is packed with a horde of features which you can take to your advantage even if running a small business.